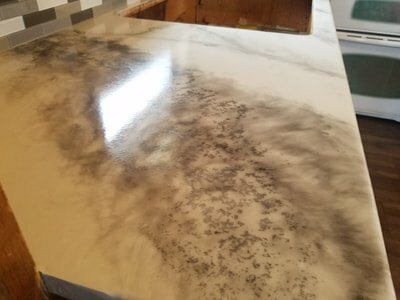 Epoxy countertops are becoming very popular. 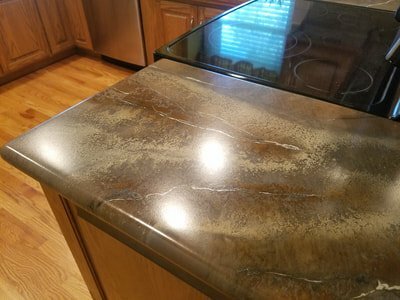 They are an alternative to granite and quartz counters for half the price. 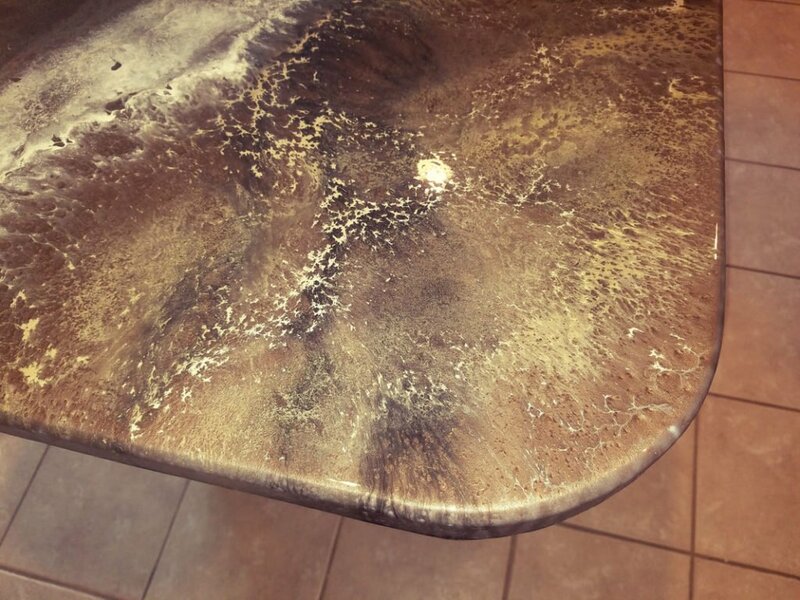 Maintaining epoxy countertops is stress-free and easy. It is a non-porous material which means bacteria cannot get caught under the surface or in the seams. You also won’t need to buy fancy, expensive granite shiners to polish your stone coat countertop. 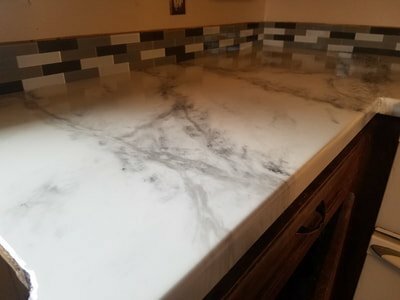 See how Renew Resurfacing can transform your dated kitchen into a unique statement with custom epoxy countertops! 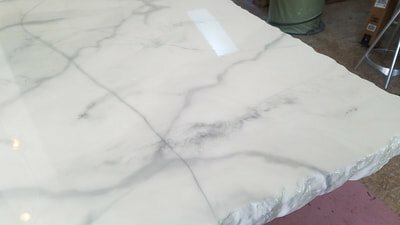 Stone coat epoxy countertops are unique because of the installation process. 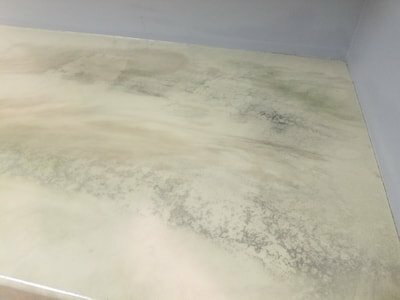 The epoxy resin is poured right on top of your existing countertop. During the process, our crew will incorporate the colors you chose and use various techniques to give it a truly unique and natural design. 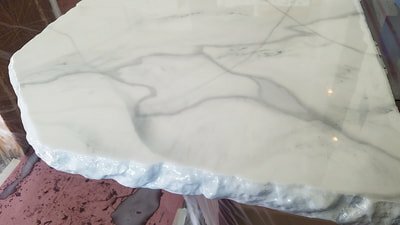 The whole epoxy countertop installation process usually only takes 2 days and you can be using your new countertop surface on the third day. 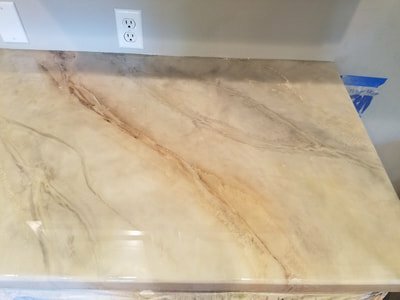 Create a custom kitchen countertop with epoxy. Whether you want just a white, black, or neutral counter with a creative swirl or splash of glitter, we can do it! No two projects are ever the same. 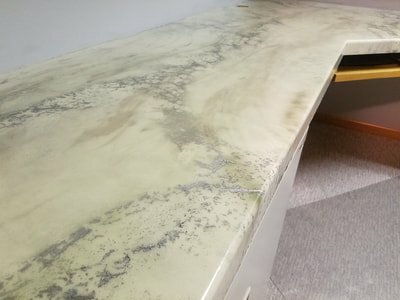 Go for a durable, easy to maintain, unique resurfaced countertop from Renew Resurfacing. 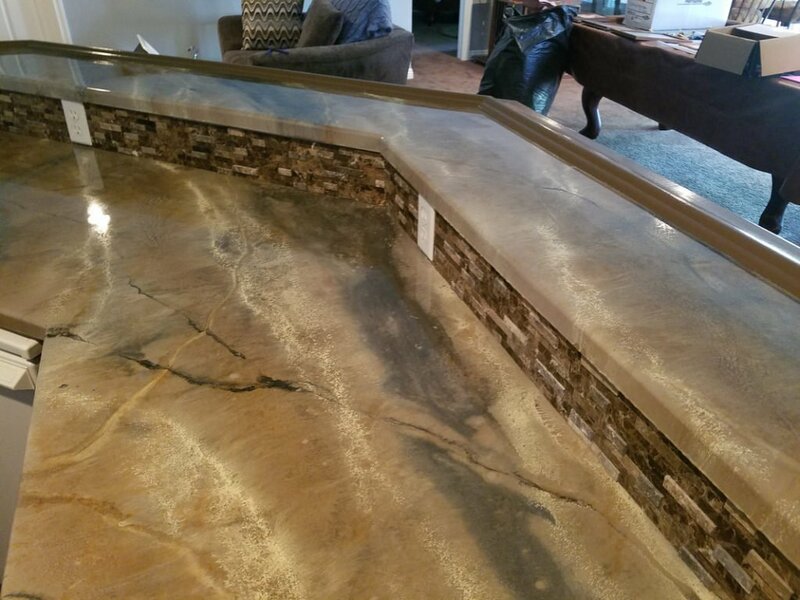 One of the major benefits to having a epoxy counter over granite is the maintenance and durability. 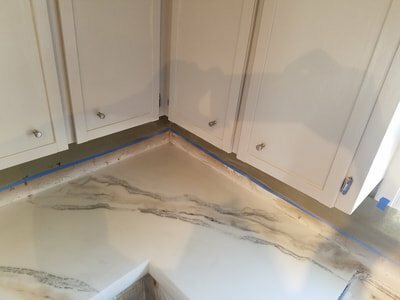 Epoxy counters do not have seams in them as our crew use a continuous process throughout your whole kitchen surface. 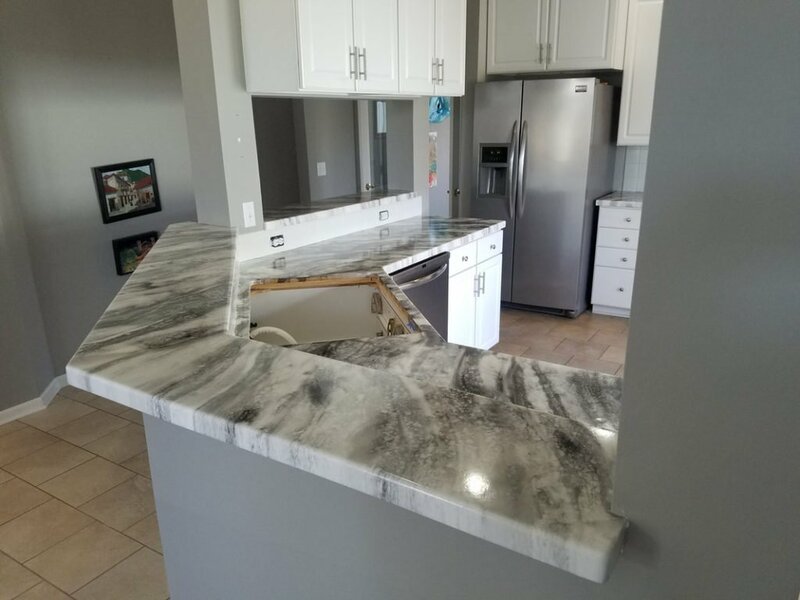 By not having the seams, you don’t have to worry about resealing your counters every six months. Epoxy stone coat finish counters are very durable and last for many, many years in your home. 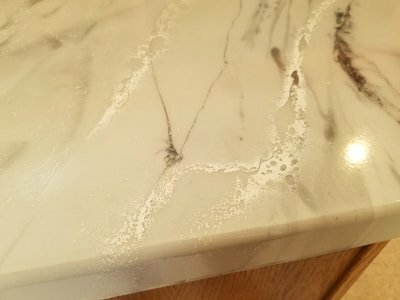 They don’t scratch or chip very easily however if they do, you can easily sand out the chip or scratch leaving your counter looking new again. 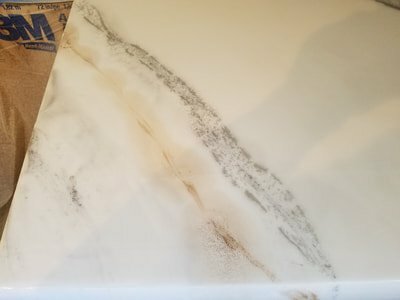 If you set a hot pot or cut your countertop with a knife, Renew Resurfacing can come in and repair the burn, scratch, cut, or blemish to look brand new again. 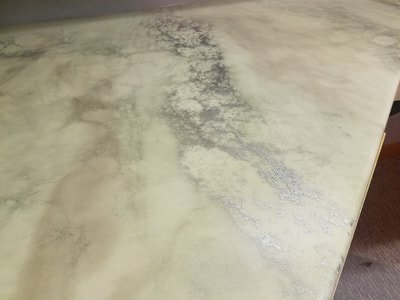 Give your home’s kitchen the transformation it deserves with custom Quarry Stone epoxy countertops. 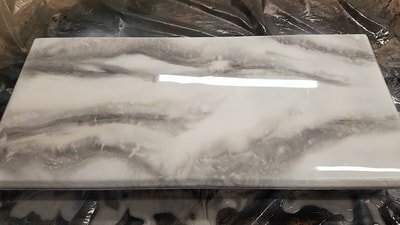 Quarry Stone counters give the image of granite or quartz but for half the price. These kitchen tops are some of the most durable counters on the market today. At Renew Resurfacing, we use only the top rated materials to ensure we are providing our customers with top rated service and quality. We stand behind our work with a satisfaction guarantee, 5-year residential warranty or a 3-year commercial warranty. 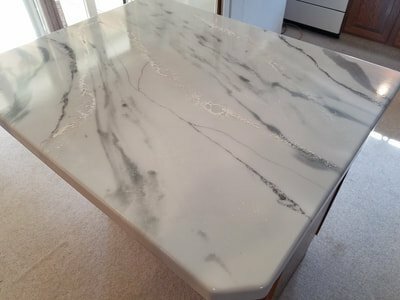 If you aren’t highly satisfied with your new epoxy countertop, please let us know. 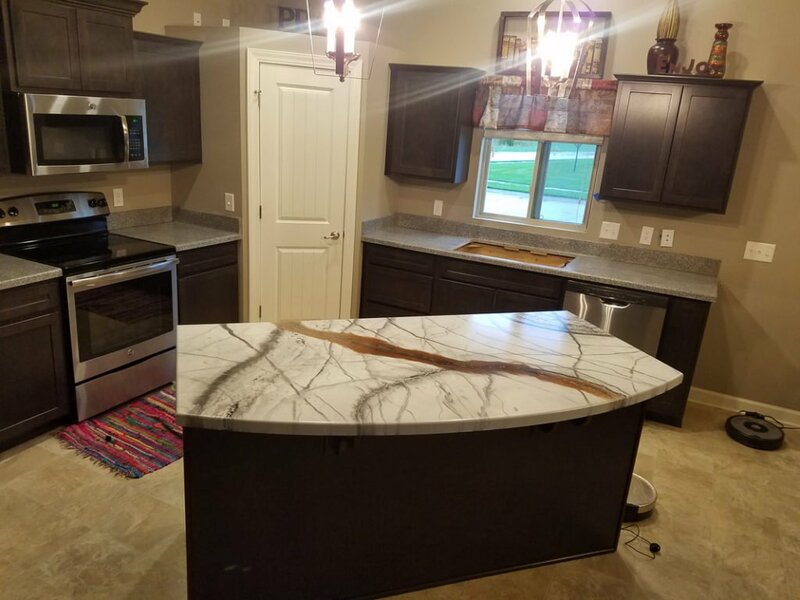 Our future success is built on your satisfaction and that cannot happen until you are satisfied with your new kitchen countertop. 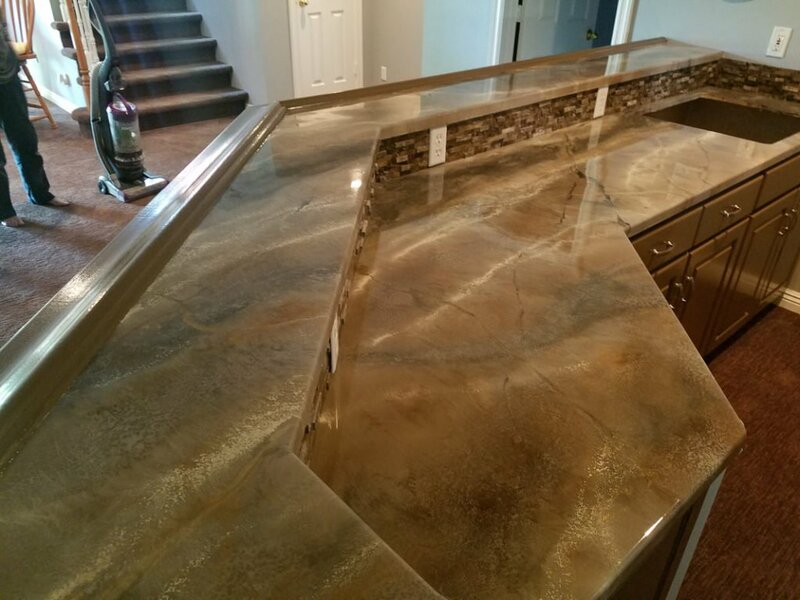 For more information on our unique Quarry Stone epoxy countertop resurfacing, call us today! 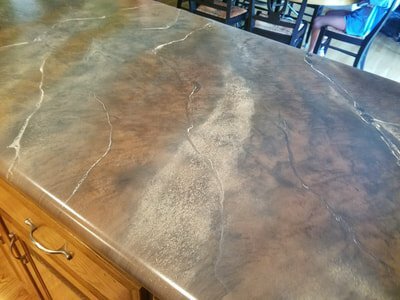 Renew’s process for kitchen countertop resurfacing & refinishing is a very cost effective alternative to countertop replacement. Replacing the countertops will cost 4 to 5 times more than resurfacing them. 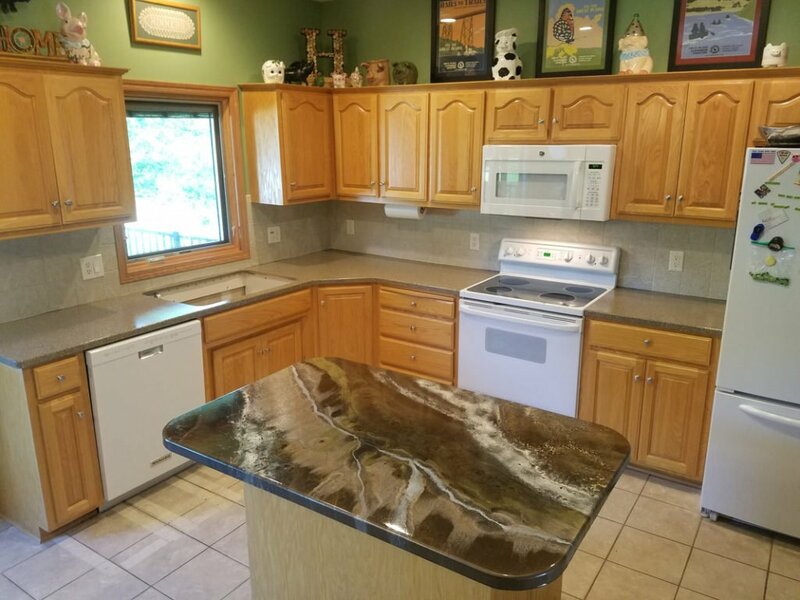 A newly refinished counter in your kitchen will have the same durability as a new countertop but will be even more stain resistant – and unlike a new countertop, it is warrantied for 5 years. 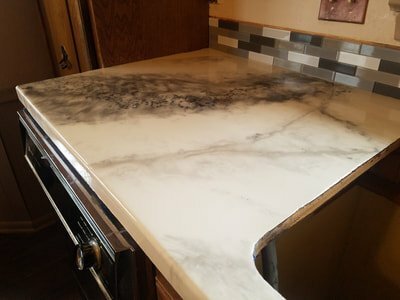 Additionally, unlike a laminate countertop, if your resurfaced kitchen countertop is ever damaged, Renew Resurfacing can be touched up like new. We are one of the most economical and durable option to beautify your kitchen counters. 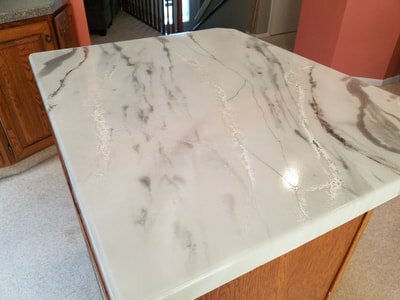 Save thousands of dollars over replacing your old countertops. Use of your counters the very next day. You know that you will receive the highest quality products and service. You should not use abrasive cleaners like Comet or Ajax, even Soft Scrub has some mild abrasives in it. 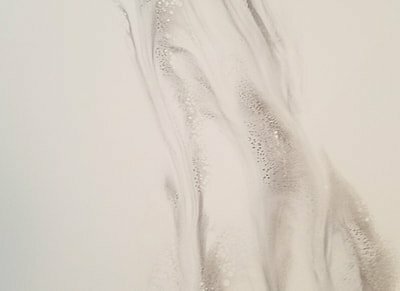 However, you won’t need to use abrasive cleaners since the new finish will be more non-porous and the dirt and grime should wipe away much easier than before. 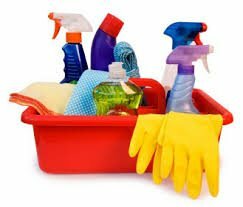 Candy prefers to use a spray bottle with lemon juice, white vinegar and water or you can use any liquid dish soap with a degreaser and a little water for cleaning also. CALL US TODAY TO SET UP YOUR FREE CONSULTATION! Contact us today to discuss what your options may be and how we can help.